Leaf blowers are one of the most efficient tools that turf managers have when it comes to quick and efficient clean-up. They're also notorious for the high-pitched whine of their two-stroke engines. The best solution to poor sound quality is to replace your old leaf blowers with one of today's newer, quieter units. 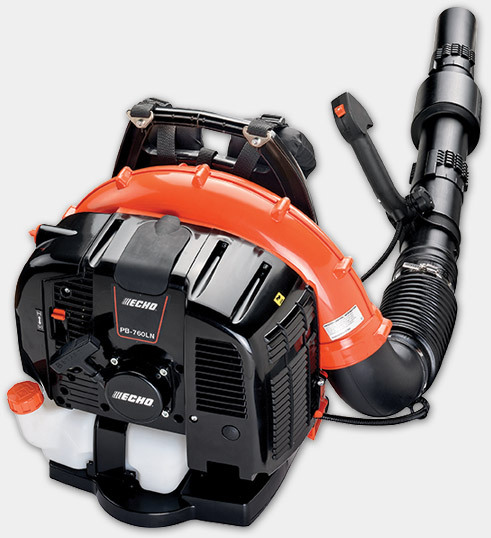 ECHO produces a full line-up of low noise blowers including hand-held and backpack models. Read this recent news story about the use of leaf blowers. Contrary to public opinion, low noise blowers still provide significant power despite being sound attenuated. In fact, ECHO makes the MOST POWERFUL low noise blower available - the PB-760LN. Another factor involved with noise is proper use. Click here to learn more about low noise blowers and proper operation techniques. So if you're a golf course superintendent, landscape contractor or a homeowner concerned with noise, a low noise blower, and a little training, can help you get the job done without disturbing the peace. And to learn just how loud is loud - check out our blower infographic.